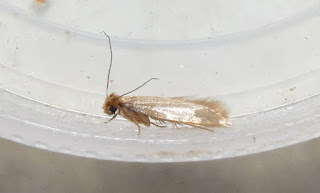 Not much in the outside traps at present, but I did find this Common Clothes Moth in my bedroom last night. 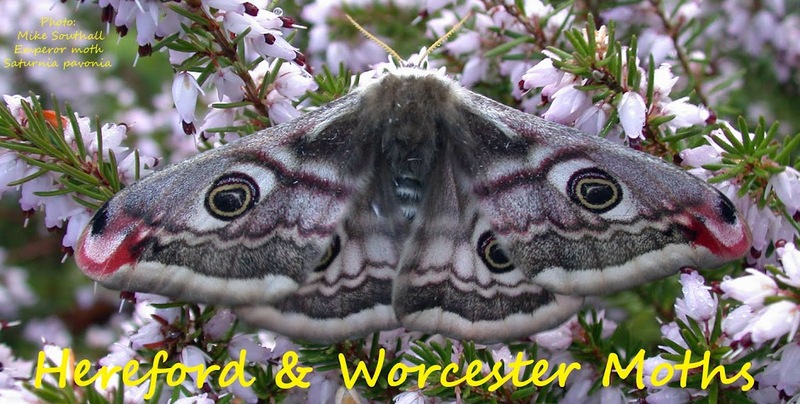 Apparently not common in either county, last Worcs record 2013, and no recent Herefordshire records. Surprisingly not recorded in Shropshire. Bisselliella ( Hummel, 1823) - bisellium, a double seat occupied by a single person, a seat of honour. From the larval food which includes the upholstery of chairs. Hummel should have used only one "s" Emmet. The only clothes moth I have seen is Tinea pellionella which became a bit of a problem in our lounge a few years ago. A new carpet combined with redecorating eventually eliminated them. I may have been a bit rash letting it go back inside the house then.